loving you, keeping you safe. into cacophonia and word salad. P. J. Roberts lives in Rockport, Massachusetts. For many years she served as editor of SandStar Publications, Publisher of fine poetry chapbooks. She is also an artist/illustrator whose signature is Patza (see Gallery of Books). Her award-winning poem "Saturday Night at That Alzheimer's Place" was written in honor of her late friend with whom she is seen in this photograph. P.J. is internationally known as a peace activist and poet. She won the Massachusetts Senior Poet Laureate Awards in 2004 and 2005. P. J. Roberts, who died November 27, 2005, lived in Rockport, Massachusetts. For many years she served as editor of SandStar Publications, publisher of fine poetry chapbooks. 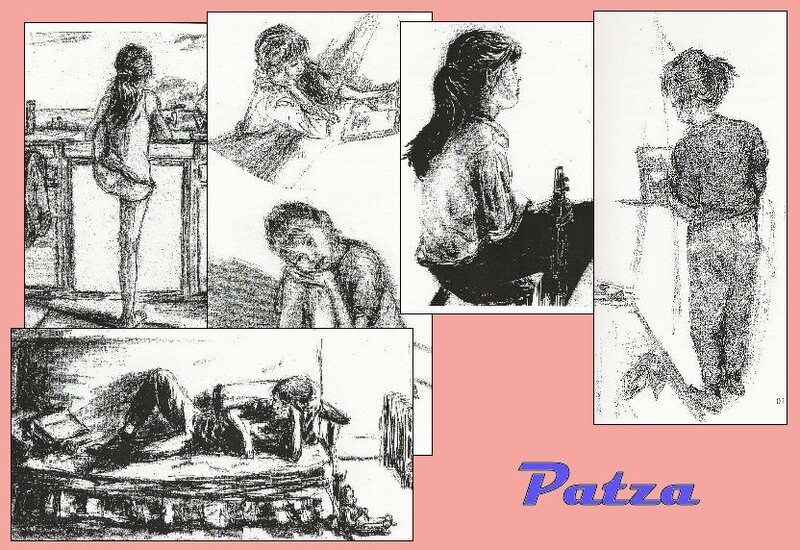 She was also an artist/illustrator whose signature is Patza (see Gallery of Books). 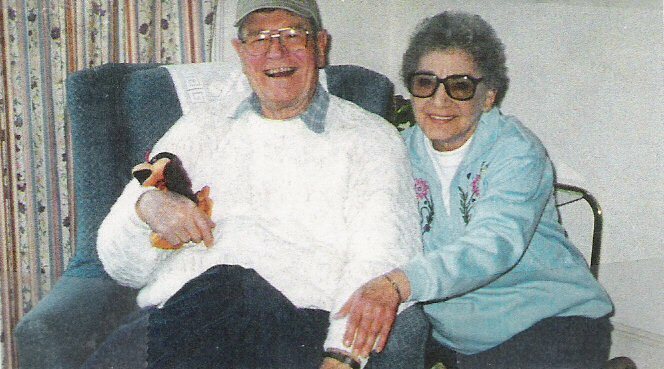 Her award-winning poem "Saturday Night at That Alzheimer's Place" was written in honor of her late friend with whom she is seen in this photograph. P.J. is internationally known as a peace activist and poet. She won the Massachusetts Senior Poet Laureate Awards in 2004 and 2005.